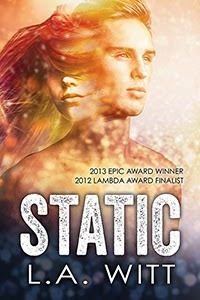 I'm so thrilled to announce that my transgender science fiction novel, Static, is back! Riptide Publishing has revised it, given it a gorgeous cover, and now...here it is! Static can be purchased directly from Riptide, as well as on Amazon, Barnes & Noble, and AllRomance.